Alcohol remains a large part of Australia’s culture. It is seen as normal practice to go out, consume in excess and repeat. People that are vulnerable to the negative effects of alcohol become exposed. 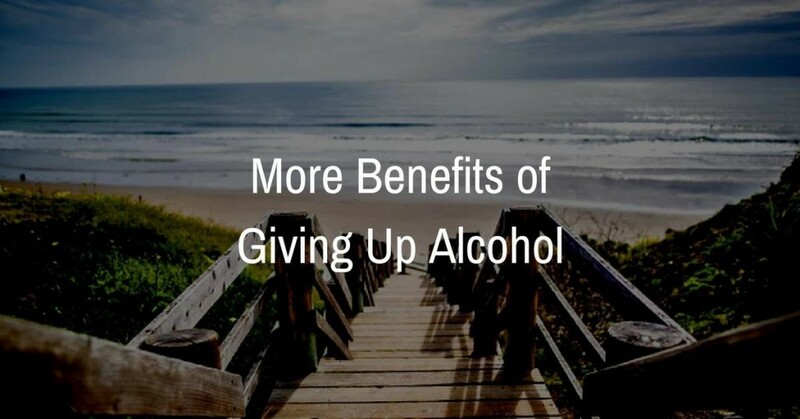 It is important that there is a push back against the drinking culture in so far as to present the arguments and benefits of giving up alcohol and being a non-drinker. Here is a list of some of the things that will benefit you should you wish to give up alcohol for good. Since you’re not going out and getting drunk, you’re not putting yourself in situations where you could embarrass yourself by falling down or vomiting publically. People have an alcohol induced confidence that increases the likelihood of doing something totally moronic, that could actually end up killing you. Think drink driving. The alcohol stories of shame and regret will be completely over. That story of having to leave your car parked somewhere far overnight because you drank too much is over. You’ll never have to go pick up your car again the following day when you’re a non drinker. You’ll be getting paid by your friends to drive them home instead. You will potentially have to fear them vomiting in your car though. When you quit drinking, you’ll actually become a role model to friends and family who are also considering the move. Once you shine as a non-drinker, they’ll be forced to reflect on their own behaviour. Often this is done unconsciously. In any case, it will be a major benefit to them to see someone like yourself make the move and reap the rewards. If you’re a parent, children model your behaviour to some degree. If you don’t drink, studies will show that it increases the likelihood that their kids also don’t. Most parents when answered honestly, don’t want their kids drinking alcohol at all. When you quit alcohol, your relationship with your partner will either change in a positive or negative way. It very rarely stays the same because it can’t. If you have found yourself in an abusive relationship, it gives you the opportunity to get out. This is especially the case if the relationship was the driving force behind drinking. Leaving an abusive or alcohol saturated relationship gives you the opportunity to improve your life 10 fold. THe hard part is the process and the emotional toll that it can bring. But quitting can also encourage your partner to stop. Or to be proud of you. There are numerous reports online of relationships improve dramatically once the alcohol consumption ends. Alcohol is a depressant and many people drink to get a short term up kick in their emotional state. OVer time this diminishes and increases your chances of prolonged periods of depression and anxiety. After you’ve quit for some time, studies have shown that you less likely to suffer from those things. Quitting gives you the opportunity to feel better and happier with yourself. Positive progress in any endeavour usually breeds happiness. Is there anything worse than waking up with a painful head, and nausea, facing the inner workings of a toilet bowl. The alcoholic ridden smell combined with natural smells of the toilet bowl is bad enough. Hangover as you age, get worse. Most people question their choice to drink during the hangover, but this practice is seemingly forgotten by man as soon as recovery really starts to kick in. Once you quit alcohol for good, you never have to have another hangover again. You have energy. You have wellness. Minus general sickness, every day of the year. Related to the fact that you’ll never have another hangover again, you have energy within hours of quitting. Energy that makes you feel good. Increased energy that will help get you to the gym, or to go for a walk or to play with your children or pets. The general haze and tiredness will slowly evaporate as time passes. Saturday and Sunday mornings could actually be filled with beneficial activities that enhance your life, as opposed to literally facing a toilet bowl. When you quit, people are likely to comment that you look younger and better looking. You only have to google before and after photographs to notice the difference in people who have stopped completely. Your finances will dramatically improve because you’re not donking money away at the bottle shop on the way home from work. Alcohol is expensive. The government adds their taxes and companies know they can enslave a generation with whatever prices they slap onto their alcohol products. The minute you quit drinking is the minute you start saving bank. Money they can enhance your life right now and well into the future. Overseas holidays can become a possibility again. New cars or beach houses are possibilities. You can pay off debt sooner. Not only do you save money on alcohol itself, but everything related to it. You don’t have to pay for taxis to get you home, or the excess food that you eat when you’re drunk. Struggling to lose weight is something that is common to most western societies. Alcohol plays a role in that struggle. Calorie and energy loaded, one big night a week on booze is usually enough to push people into slow fat accumulation mode as the months and years pass. When we were teens it was easy to burn off. Our bodies were optimised and built to burn fat. This isn’t the case anymore when we hit our mid twenties. If you do more than binge drink once a week, weight gains are much higher. Studies have shown that it’s correlated with increased fat mass. When you quit drinking, weight loss becomes much easier. Within a number of days most notice the effects. The weight loss adds to having increased energy, which spreads to other potential areas of your life in a positive way. Australian society whether it likes it or not, promotes alcohol consumption as part of its cultural fabric. This leads to significant problems at all levels of society. When you decide to quit, it opens the door for the fabric to change. If you’re at the state of quitting, please seek medical support by seeing your GP or specialist. They will be able to guide you in the right direction to enable giving up alcohol safely. There can be significant withdrawal effects that can lead to death if not properly medically supervised or managed in some cases. If you are considering alcohol rehabilitation here in Melbourne or Queensland, you’re more than welcome to get in touch with Refocus. We can offer you guidance in determining whether private rehab is the right choice to make for a full recovery. You only have to look at one or two of the above benefits to know that it will be worth while.